The Official Thread of RED DEAD ONLINE Events! Check back every week for news on what's happening next with The SUNSET OUTLAWS! The Sunset Outlaws - 11/30/2018: Be a part of history in the making as we load up for our VERY FIRST Red Dead Online event! As we collect our gallant desperadoes and gun-slingin' gals of the old west, we'll posse-up and ride out to see what bounties the untamed frontier has in store for us. Our RDRO Event for Xbox will start at HIGH NOON Eastern Standard Time (EST) and will continue on throughout the day. Come and go as you please. Join us for lobby takeovers, deathmatches, adversarials, and maybe a little horse racin’! We'll expect hiccups of launch-day jitters and dish out the pain to anyone that dares to sniff wrongly in our direction as we come together to find out what it means to be a part of the most nefarious gang this side of The Grizzlies! 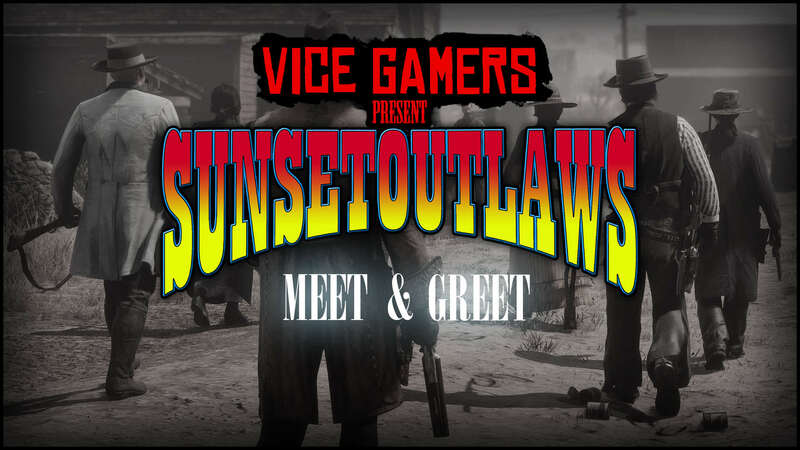 Be sure to log on tomorrow and mount up for our first RDO event - The Sunset Outlaws - Meet & Greet Weekend! Please join the Official Sunset Outlaws Social Club to ensure you're part of the gang on game day!